VIPP welcomes opportunities to work with government agencies, educational institutions, companies, NGOs and foundations on customized intensive group trainings. Our Global Executive Workshop (GEW), ranging from three days to six weeks, offers a combination of lectures, professional meetings, on-site visits, and cultural excursions. Each GEW is unique in terms of its scope, format, length and location. VIPP in collaboration with MSU colleges and offices can fulfil dynamic training needs within organization’s budget constrain. Our most recent GEWs included both public and private organizations from South Korea, China, Malaysia, Indonesia, Thailand, Turkey, and Saudi Arabia. Our curriculum spans various fields including Higher Education Leadership, Teachers Training, Law, Organization Change and Innovation, e-Government and ICT (Information, Communication & Technology), Senior Executive Compensation, Transportation Finance, Urban Planning & Sustainability, Journalism, Sustainable Tourism, Forestry Health and Management, Biodiversity, Genetic Seed Breeding, and Agricultural Emergency and Risk Management. The training programs primarily take place at MSU's campus in East Lansing, Michigan. However, to fulfil training needs and enrich participants experience, other locations are often included in the program. The following U.S. and Canada cities were involved in our GEW in the past: Detroit, Chicago, New York City, Washington DC, San Francisco, Los Angeles, Toronto, Montreal, Ottawa, and Quebec City. Participants meet with professionals in multinational corporations, city and federal government agencies, and relevant organizations in their fields. Our workshops are fully customized and we provide 360-degree service from program development to logistics support including transportation and lodging. Contact us today to see how we can help your organization’s development. Email us at vipp(at)msu.edu. Click Here to view a PDF with information about our workshops. In May 2018, VIPP hosted five USDA Cochran Fellows for a professional development workshop. 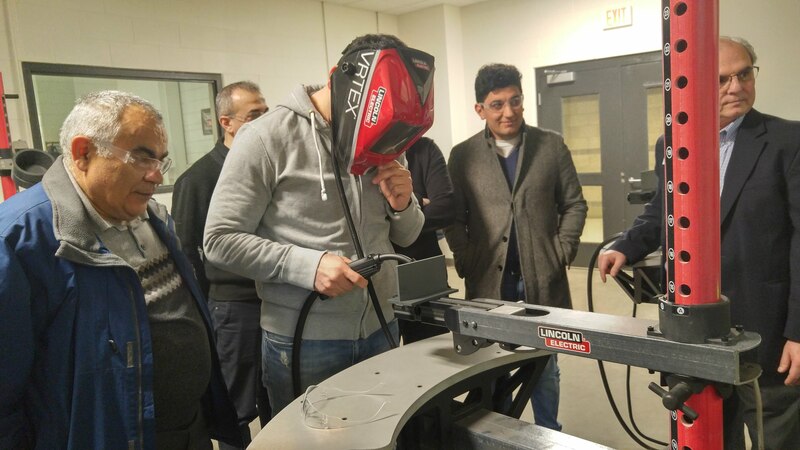 During two weeks in Chicago and East Lansing, the hotel and restaurant professionals had the unique opportunity to learn from some of the industry’s finest. 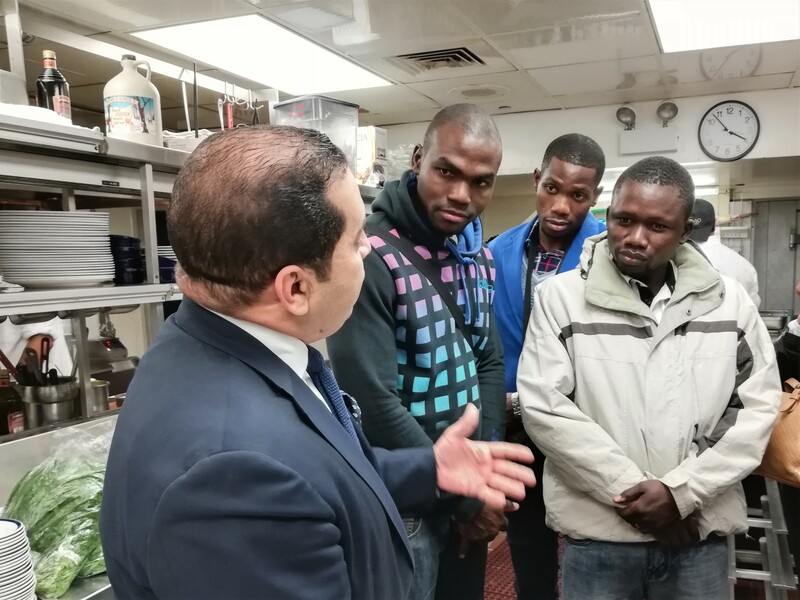 In Chicago the Fellows attended field visits to five-star hotels, four-star hotels and Michelin-star decorated hotels and restaurants. In East Lansing, the programming focused on local breweries, wineries, distilleries, vineyards, and organic farms. VIPP hosted 5 delegates from Azerbaijan who were visiting the U.S. through US DS IVLP. The group visited Lansing Community College and the Michigan Department of Education to learn about policies on vocational education and how community college implements programs to ensure students have the essential skills needed for careers in the 21st century. Our second workshop for TVTC (Technical Vocational Training Corporation) participants from Saudi Arabia. The focus of this year's workshop was on quality management titled, "Innovative Organizational Trends to Develop Business Practices and Applications According to the EFQM." 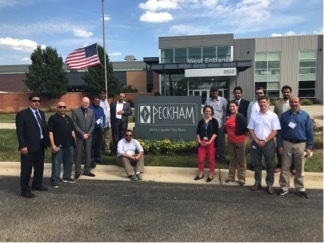 The workshop included visits to Peckham, a Lansing based non-profit, as well as Henry Ford College. View the program details here. 19 Chinese delegates from the Ministry of Agriculture for a 2 week training on Agricultural Emergency Management. Delegates visited Michigan Farm Bureau and went on a guided tour at the Michigan Milk Producers Association Plant in Ovid, Michigan. 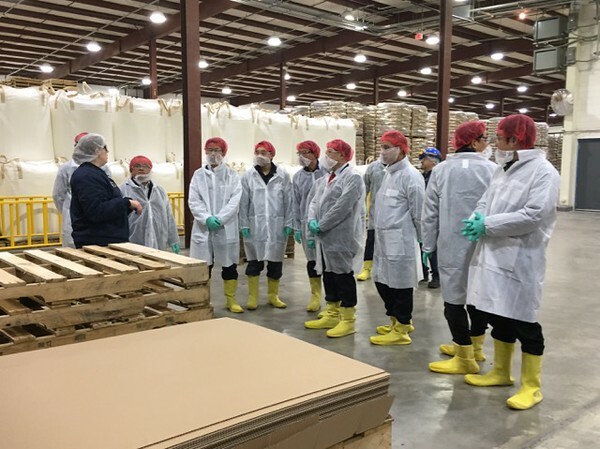 They looked around butter and dry milk operation facilities to learn about food safety from the testing of milk to the final processing stage. They also visited the MSU Kellogg Biological Station. We hosted a group of young entrepreneurs from Shanghai for a 10-day executive workshop focusing on organization management, innovation, and entrepreneurship. The workshop consisted of a number of organized visits and professional meetings, which provided the group with great opportunities to link theory, practice, and their own experience in the area of organizational change and innovation. One of the highlights of the workshop was no doubt our visit to Google, Ann Arbor. View the program details here. 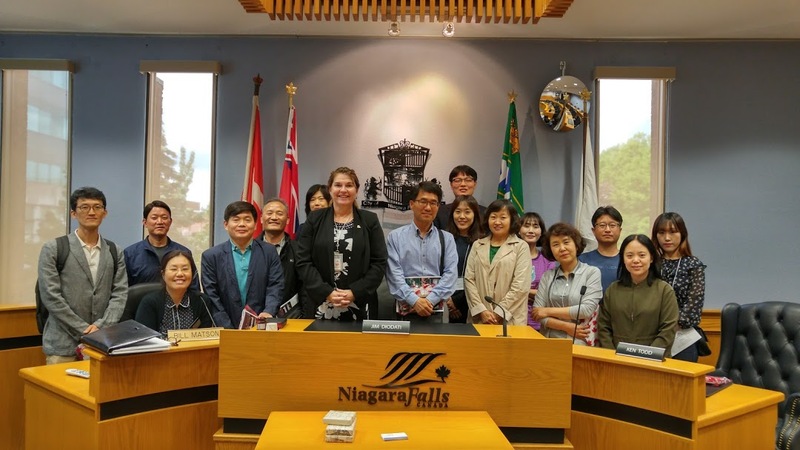 A 10-day long workshop took place in Canada for sixteen public officials from the Seoul Metropolitan Government in South Korea. Delegates visited Quebec City, Montreal, Ottawa, Niagara Falls, and Toronto, and met Canadian government officials and business executives.